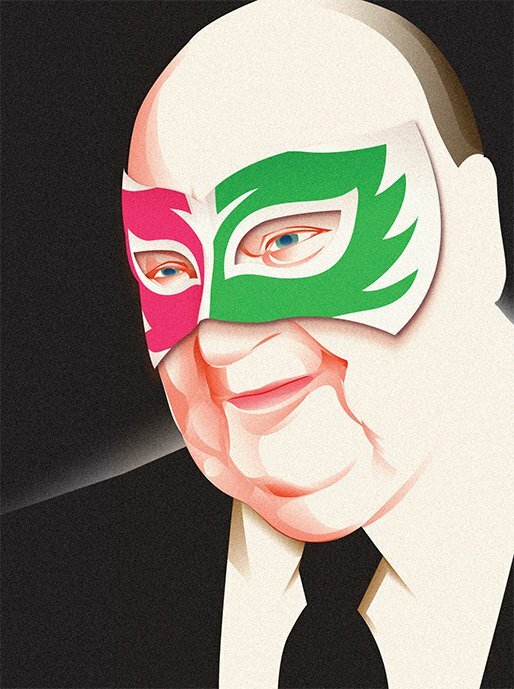 Roger Ailes is kvetching. “The president likes to divide people into groups,” he huffs into the phone. “He’s too busy getting the middle class to hate rich people, blacks to hate whites. He is busy trying to get everybody to hate each other.” With that off his chest, Ailes gets back on message. “We need to get along,” he says. It’s an unexpected plea from the Fox News CEO considering his impressive record of provocation. But recently, “getting along” has become an imperative for the conservative movement. Mitt Romney lost the Latino vote by nearly 50 points, and now almost everyone agrees that the Republican Party needs to improve with Hispanic voters to have a shot at the White House in 2016. That could also be Ailes’s last year at Fox News: His contract expires then, when he’ll be 76 years old. So if Roger Ailes wants to see a Republican win what may be his last presidential election as a major player, he’ll need to try to make conservatism more palatable to Latinos. Which, of course, he will. Roger Ailes wants to prove that the GOP is more appealing to Latinos than the alternatives, but will it work? Neither do many Fox viewers. A National Hispanic Media Coalition survey in September found “a consistent pattern whereby Fox News audiences are indeed more likely to hold negative stereotypes about Latinos.” For the average Fox News anchor—not to mention fan—immigration reform is a harder sell than Ailes and other Republican elites admit. 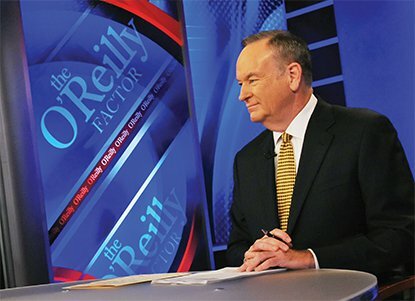 Bill O'Reilly doesn't think it's a "hate crime" to say "illegal aliens." “The contributions being made by Latinos are extraordinary, and we need to talk about them,” Ailes says. The Fox News Latino stylebook uses “undocumented immigrant,” and the site downplays immigration stories compared with some of its rivals. “Fox News Latino has a mission to point out the positives of the Latino population, operating within the framework of making America great,” Ailes says. "I don't have any problem with a path to citizenship"
There are other issues too, like abortion and religion, where Hispanics’ views tend to align more closely with the GOP. After the presidential election, a Hispanic Leadership Network poll of four swing states found an average gap of 13 points between Latinos who considered themselves conservative and Latinos who actually voted for Romney. Ailes wants these people not just visiting Fox News Latino, but watching Fox News, too. “I happen to think that the Latino audience is an essentially traditional audience and will go to Fox News for traditional American values,” Ailes says. 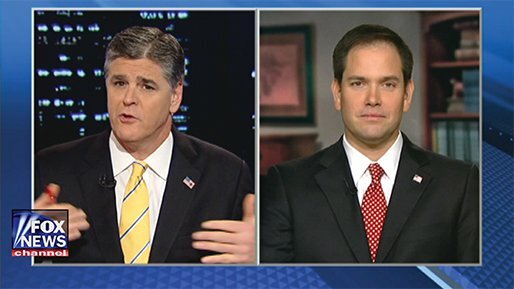 Sean Hannity (seen here with Senator Marco Rubio) has stated that he's open to a path to citizenship approach to immigration reform, a dramatic shift from his pre-election postion. The hitch, of course, is immigration. “Unless the Republican Party changes its position on immigration, it doesn’t matter what they do on other issues,” Ramos says. The challenge is the same for Fox News.